*This section explains which documents are attached with respect to different document types. 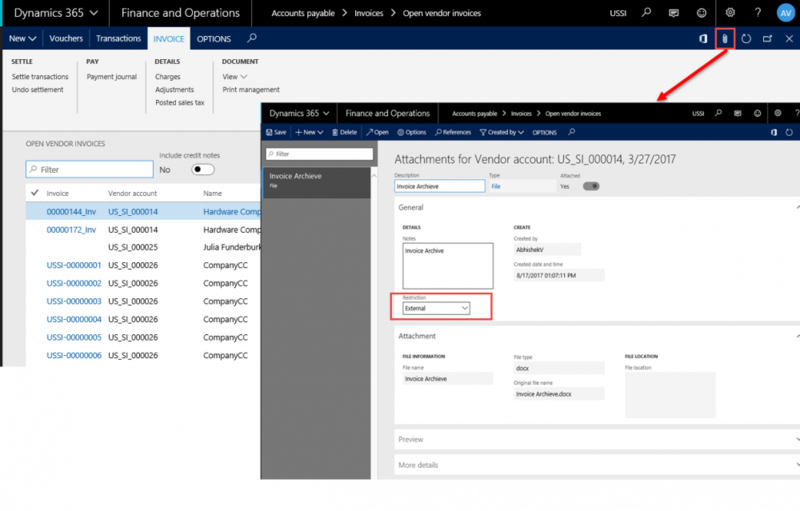 This is available in timesheets on the action pane, as shown below. 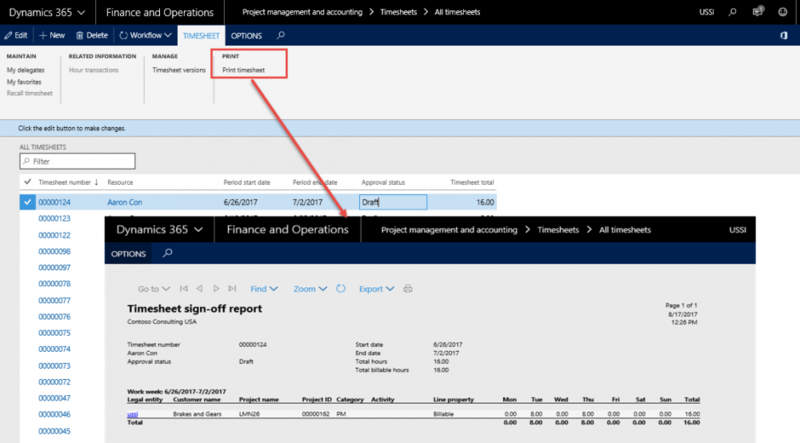 This report is launched at the header level, it contains all the line details from timesheet, thus this report is filtered to display only the timesheet lines that are being invoiced in the invoice proposal. 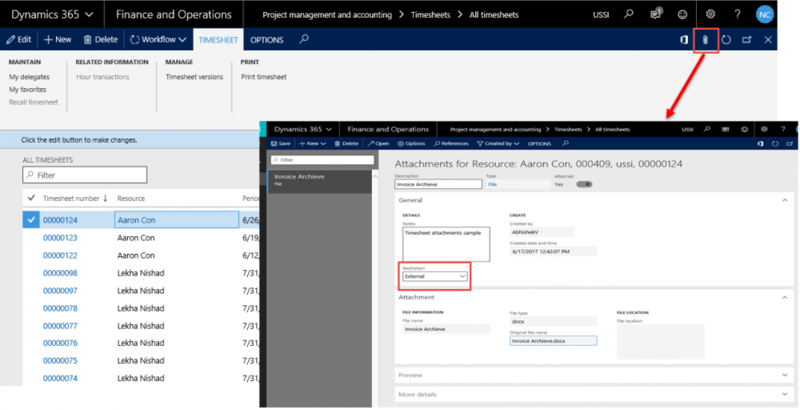 These are documents that are attached to the Timesheet while posting the timesheet via attachments in the document handling feature, but with the restriction set to External as shown in the below screenshot. only such documents are considered for archiving on the Invoice on invoice proposal form. These are documents that are attached to the Vendor invoices, from the attachments in the documents handling feature, but with the restriction set to External as shown in the below , only such documents are considered for archiving on the Invoice. Go to Accounts payable > invoices > Open vendor invoice. These are documents that are attached to the Project via the attachments in the document handling feature, but with the restriction set to External as shown in the below screenshot, only such documents are considered for archiving on the Invoice. 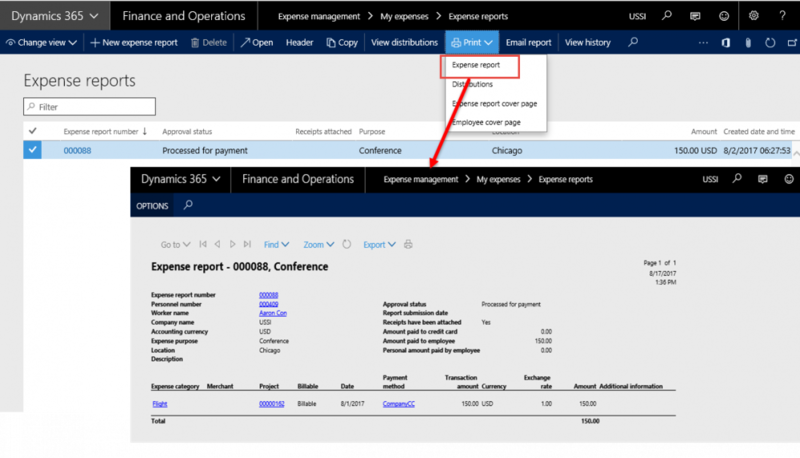 This is available in expense report on the action pane header, as shown below. p<>. This report is launched at the header level, it contains all the line details from expense report and the same is archived on the invoice proposal. 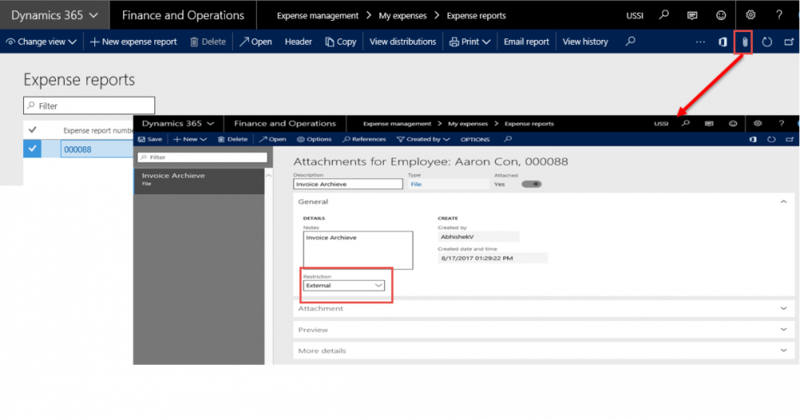 These are documents that are attached to the Expense report via attachments option in the document handling feature, but with the restriction set to External as shown in the below screenshot, only such documents are considered for archiving on the Invoice. 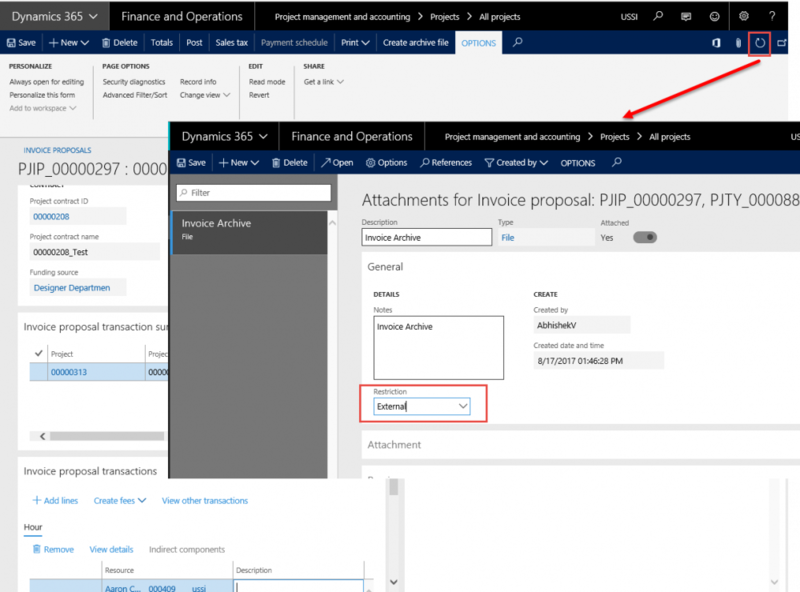 These are documents that are attached to the Invoice proposal by the attachments in the document handling feature, but with the restriction set to external as shown in the below screenshot. Only such documents are considered for archiving on the Invoice. However, files that have been generated through this functionality will be excluded to avoid cyclic archives. 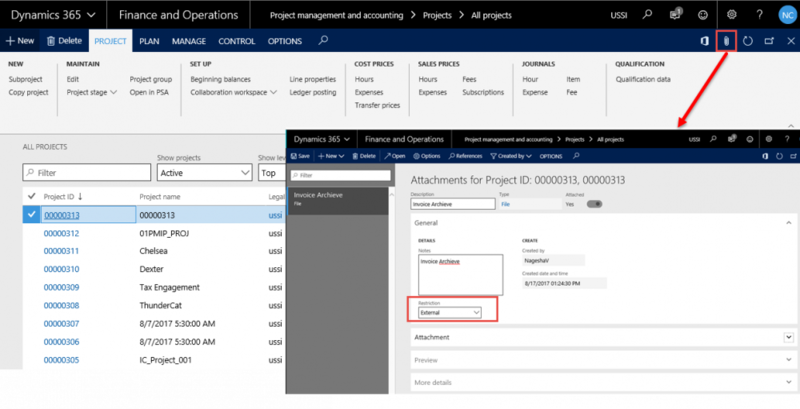 Go to Project management and accounting > Projects > All Projects > Invoice proposal button.